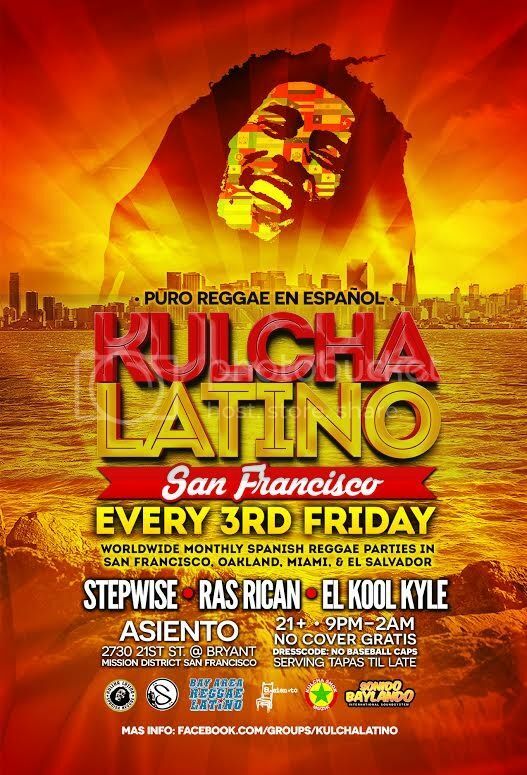 The only party in the Bay Area that plays pure spanish reggae & dancehall from latinoamerica all night!! Playing artists like: Gondwana, Cultura Profetica, Kafu Banton, Alika, Morodo, Los Cafres, Fyahbwoy, El General, Baroni, El Boy C y muchos mas all under one roof! Tell a friend and help support this movement in the Bay Area!! SEE U THERE!